At the end of the month, our family is moving from the East coast to the West coast. It’s a big move, which means the items in our freezer and refrigerator must be used or we will have to give them away. The move is expensive, so while giving items away will make someone happy, it will make my finances much more happy to know that we have used what we have on hand. Needless to say, it’s use it or lose it time. 1. Do a complete inventory of the items in your refrigerator and freezer. Approximately one month prior to your move, make a list of everything that you have in your refrigerator and freezer. Use one sheet of paper for each. Create categories that make sense for your family. For example, my freezer list had a separate section for: Meats/Proteins; Vegetables/Fruits; Breads; Sauces; and Complete Meals. My refrigerator list has a section for: Cheeses; Other Dairy; Eggs/Meats; and Condiments. 2. Use your inventory to plan your menu: Now that you have a list of everything that you have on hand, plan menus based upon these foods. Try to use up little odds & ends too – such as I have multiple packages of frozen tomato products in my freezer, which I am sure could be used to make up some pizza sauce. If you have an ingredient that needs to be used, but are lacking inspiration, check your favorite recipe blogs. Most have categories by ingredient and/or a search box. 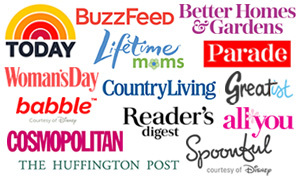 If you subscribe to recipe blogs with Google Reader, be sure to read my article about how I search for recipes. 3. Set a Pre-Moving Grocery Budget: Many families have a grocery budget, but before your move, set a new pre-moving grocery budget. If finances are tight (which they often are when moving), you can use this as a way to keep you on track and even motivate you to save your money towards other things. For my family, we have decided to spend no more than $20 on needed grocery (food) items each week before our move. The items that we will buy with this $20 is milk, refrigerated products we may not have (sour cream, cheese, etc), and produce. We will not be buying any meat as we have plenty that needs to be used. 4. Create new items for your trip, if necessary: If there are some items that can be used before moving, consider if they can be recreated into items that would hold during a move. For example, frozen fruits might be able to be made into muffins or other baked goods for the trip. Bake frozen vegetables on a low heat and turn them into crisp veggies for snacking. 5. Don’t worry if you aren’t eating the usual: This is something I need a lot of help with since I am pretty particular with how my menu plan is (never chicken two days in a row, etc.). I usually have lots of little “rules” for myself, but when it comes time to move, the rules fly out the window. It’s also about picking your battles – I would rather focus on using what we have and eating nutritious meals than worrying too much if we have Mexican food two nights in a row. 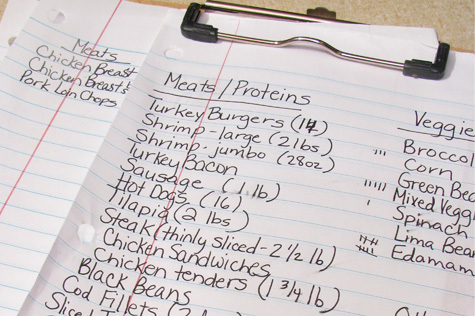 Do you have your own tips for meal planning before a move? I’d love to hear it! Just leave me a comment below. Thanks for visiting – have a great week everyone! This menu plan is linked up at Org Junkie – where lots of other great menu plans are shared by other bloggers. Wow! Those are awesome tips! what a great idea – last time we moved I threw out half of the produce in my freezer – total waste. Quite impressive… to be so organized and cooking real meals all while getting ready to move.